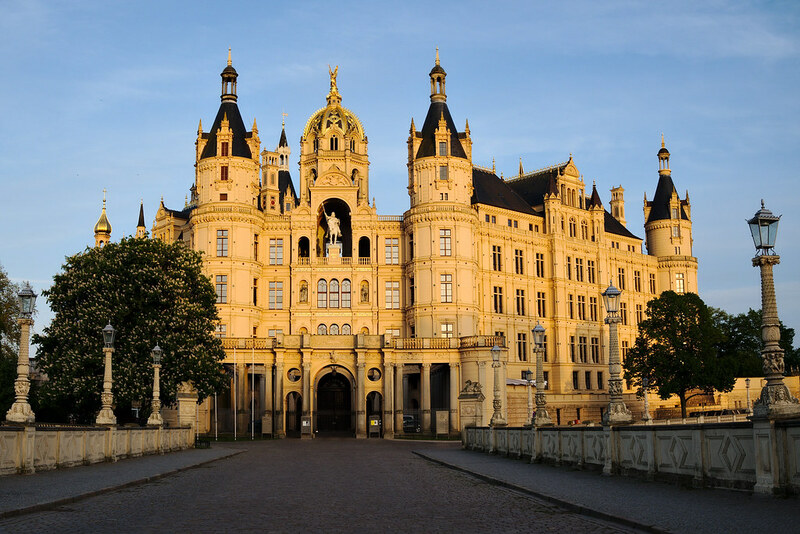 Schwerin Castle is located in the city of the same name in Mecklenburg-Vorpommern in Germany. It is distinguished for being located on an island in Schweriner Lake. Completed in 1857, it was the home to the dukes of Mecklenburg for centuries and today, it is used as the state’s parliament since 1990. There are records that show that originally, there was a Polabian Slav tribe fort on the island where the current castle stands today. The fort was destroyed in the 12th century by the Obotrites and Niklot. However, the Germans recognized the strategic location of the island and began to build a new fort. In the 14th century, Schwering was bought by descendants of Niklot and soon, they began to change the fortress into a castle. The castle underwent many changes by different figures throughout the centuries. In 1913, a fire destroyed most of the castle and it took decades until it was completely reconstructed. During the 20th century, the castle was given many uses including a college for kindergarten teachers and a museum. It is said that a ghost known as Petermännchen roams the halls of the castle. The ghost is often depicted in clothes from the 17th century (even though it is supposed to be invisible) and is believed to be very short. Photo credit: zoetnet via Foter.com / CC BY Want to enjoy a Free Beer?